I have struggled with the decision to blog on this topic or not. How to word it? Should I even write it? Today being the last day of January the Pro-Life Month, I decided to go for it. It is my blog, my opinions for others to take it or leave it. In my first post I gave no promises to be politically correct in my topics. So today I write from my heart. This is not intended to offend anyone or give any person guilt. My prayers are with anyone faced with such an enormous life changing decision. A baby at any stage in life IS a life changing event, whether it’s your first or your 5th, whether the child is born or lost. In our world today the life of a baby is considered a choice. More and more freedoms of choice of lesser value are limited and dictated by our government every day. 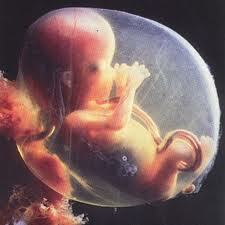 It is sad to me our world cannot find enough meaning in the miracle of life to fight for the unborn. Life is a gift from God, and not to be taken lightly. I share my stories of Miracles of Life because when people say they don’t have the right to choose for others, I think of these experiences and of so many little miracles lost because of that thought. I share them with the hope that maybe someone might change their opinion, or maybe this may give someone peace, encouragement or support in their decision. If this changes one person’s mind it is worth it to me even if I make thousands angry. We’d only been married a couple months, and I’d been a college graduate and working for one more month than that when we found out we were pregnant the first time. We knew we wanted to have children but hadn’t officially made our plan of when we wanted to start our family. I told my dad well it wasn’t exactly like we planned, but we are excited and we were. My Dad said, “People these days think everything has to be perfect to have a baby, if that was the case no one would ever have kids”. I am not sure those were the exact words it was almost 14 years ago, but it was a true and meaningful statement. I can still see in my mind what my son looked like the first time I saw him. The doctors thought I was farther along so when they couldn’t find the heart beat they scheduled a sonogram. It took a little effort, as he was quit small, but she found him. His heart was bigger than any other part of his body, his arms and legs wiggled like crazy. After measuring his small body she said, “No wonder they couldn’t find the heart beat your only 10 weeks along” (which is only 8weeks after conception). She took a picture for me to take home. Our first miracle. We were blessed with 2 more babies over the next 4 years a beautiful daughter and another wonderful son. Then after baby #3 we had a miscarriage. I was only around 6 weeks along, some may not have even known they were pregnant yet. I remember the day before it started getting dressed and thinking, I don’t really feel pregnant now, which I hadn’t thought in any of my other pregnancy. Mother’s intuition I guess, the next night I started bleeding; a blood test confirmed that my hormones were dropping meaning the baby wasn’t growing anymore. I spent the next week worrying about when the baby would come out. A weird thought maybe, the baby would’ve been so small I never would have been able to see him/her. But it was life no matter how small! I cried over the loss of life of someone I never met, someone that by law isn’t even considered alive. Thank goodness I can find peace in the fact that God considered our baby alive from the day he/she was conceived no matter how small. Without this struggle and loss we may never have had the chance to enjoy our next miracle our 2nd daughter who was born about 16 months later. We were perfectly even 2 boys and 2 girls when God decided we weren’t done yet, another little one was on the way. I was nervous, I was older and our lives were so busy. After about a week, I began to have some heavy bleeding. My heart sunk, I had been here before. We hadn’t even had the chance enjoy the thought of this new baby. It was my fault for not embracing this new life. When I went to the doctors they said all my hormone levels looked good. The bleeding continued and they did a sonogram and there she was kicking away. What a relief. The worry did not end, as the spotting continued almost halfway into the pregnancy. I was then 35+, considered an “old” mom, and they did a lot of checking on everything. The only break in worry was when I was praying for everything to be OK. Nine long months later our third daughter was born. She has brought such joy to all of our lives, and like each of the others we couldn’t image life without her. When my parents as an unmarried teenage couple found they were expecting. Neither had a high school diploma or even lived on their own. Neither ones family was financially well off. People told them to consider all their options. Instead they planned a wedding. My mom graduated early, my dad got a job, and a few months later they were married and 9 months later became a family. Did they struggle yes, renting attic apartments, borrowing bread for sandwiches, and walking to the store. What a life many would think, but in every picture of them they are smiling. They embraced the life God set for them, naïve maybe; sometimes being naïve is a statement of faith. People thought they’d never make it. In March they will celebrate 40 years of marriage and have brought into the world 5 children and now have 13 grandkids to share their love of life with. Despite a hard start they built a successful life by society’s material standards too. Owning a beautiful house, motor home, cars, built 2 successful businesses and a cabin, and have had many rewarding jobs along the way. Neither went to college. Their life not a perfect plan and they have had their ups and downs, but this is their fairytale. They had faith and they respected the miracle of life. Because of their choice their 5 children now look at them with respect and have had the opportunity to enjoy wonderful lives of their own and will be able to pass that love on to their children. People say these stories are few and that is not how it normally turns out. I disagree. I think there are many stories like this we just don’t notice because their lives are good, and those are not the stories that gain the most attention. There would be more too, if our world would look upon these young people or those of all ages who have made a selfless decision with respect rather than pity. Give them support and encouragement, and let them know God has a hand in everything we do. Celebrate life for the miracle it is. We many times make choices as humans that lead us down a difficult path, but God will travel with us and guide us through. A scientific feat or a miracle? Isn’t it a miracle? Every mother knows the feeling. A baby is growing inside you and you know it immediately, and I am not just talking about morning sickness. Before you feel the movement, before you hear the heartbeat or see your baby inside you, you feel love in your heart. The first 3 months are the most important doctors say. You stop drinking alcohol, limit your caffeine, the prenatal vitamins begin, extra sleep, extra water and eating well. There are so many recommendations from doctors to help your baby grow. So many things have to go right to allow that baby to grow and be able to survive in the outside world. “Despite all the advance in biology and genetics, no one can explain how every cell in the embryo knows what to do and what part of the body to become, that remains a mystery among the many mysteries of how human life develops” (excerpt from “How your baby Grows” given to me at my first prenatal visit). A mystery indeed, a mystery of Faith, God is how it happens. All we can do is give our babies the best home before and after they are born. A baby is a miracle, no doubt in my mind. As a Mom who watched a new life move inside her before any other sign of life was evident and felt the loss of a baby before any other sign of life was evident. I say thank you God for the miracles of life you have given me. As the baby that two teenagers celebrated and made the choice to build a life on 40 years ago. I say thank you God for the miracle of my life. When you look at young pregnant women you may think her life will never be the same. You are right. I don’t think there is a person that after their first child was conceived who's life was ever the same. You may ask are the struggles worth it? I don’t think there is a parent out there that wouldn’t say the joy outweighs the struggles. I don’t think there is a person out there that at some point in their life hasn’t questioned why something hasn’t gone their way only to have it find out that later that it HAD gone their way and it was blessing. I cannot understand how there is any choice in the matter. God gives life. The value of the life vs. the struggles or joys it may bring is not ours to weigh. Our only choice is to embrace the path God gives you, no matter the struggle, no matter the inconvenience; the reward in the end will be great. I also thank God, and the two teenagers. With a different outcome my life would not be the same. Keep Running, but watch out for the Lightning!